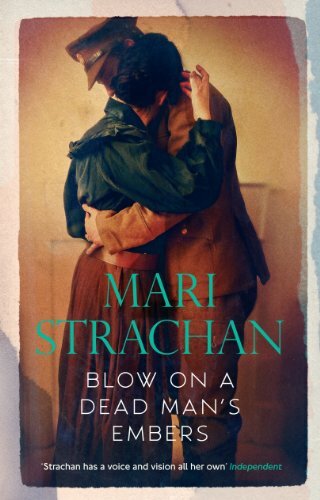 Mari Strachan’s second novel, Blow on a Dead Man’s Embers, is a gripping novel about society’s post-war struggles. Set in the heat wave of 1921, Rhiannon Davies, known as Non to her family, wakes and finds her husband, Davey Davies, huddled under the kitchen table. He is clutching an imaginary rifle, re-enacting a horrific incident from the trenches. She really wants to understand and try to make things better but Non feels like she has been pushed out of his life. A mysterious letter arrives and helps Non discover why her husband has come back from the Great War as a different man. She must summon the strength within herself to be able to help Davey deal with his war scars. Blow on a Dead Man’s Embers is full of intricate details that highlight the struggles found in three generations of the Davies family. Strachan uses the stifling, airless weather to show the heaviness in Non’s ordinary and complex life as she looks after two children from Davey’s first marriage and Osian, their youngest son who arrived with her husband as a baby, one night and is told not to question where the child came from. The suffocation pushes Non into action. The rich atmosphere brings alive post-war, rural Wales. The suffocating heat of the summer weighs down on the characters as they search for answers and face up the changes in their lives and the world around them. The title comes from a line in Robert Graves’ poem, To Bring The Dead Live and this ties in perfectly as a metaphor for the whole of the novel and Non trying to bring back her husband from the brink. 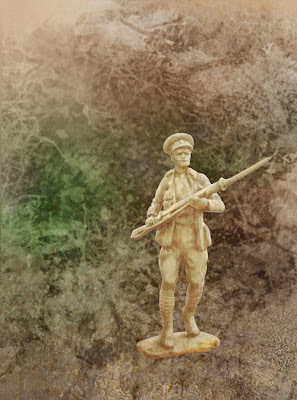 The story is full of details about post World War I and its impact on society. Even Non has to face up to the changing world and learn to let go of the past. Strachan shows Non as she leaves behind her rural Welsh home and visits London. Non feels uncomfortable and socially inapt. I am still thinking about the characters after finishing the book because Strachan pulls the reader into the world and won’t let you forget the characters and their struggles too easily. Strachan juxtaposes the domestic life of Non with looking for answers and a place in the shifting world of changing politics in Ireland, woman’s freedoms and the realisation that progress is happening around them – more people are speaking in English. Alongside the family life of Non are darker, unnamed subjects of post traumatic syndrome, autism and Alzheimers. Strachan approaches these in a delicate manner, creating a tender and affectionate novel. 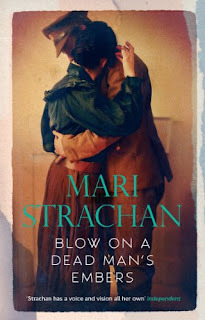 Blow on a Dead Man’s Embers is a brilliant novel on how the war can leave its mark on everybody and not just those who have fought in the trenches.